Apart from interesting archaeological sites and historical museums, Athens also has a wide range of art galleries and art museums. The National Art Gallery is located on Vassileos Konstantinou ave, in Athens, just opposite the Hilton Hotel and in a walking distance from Syntagma Square. The gallery was founded in 1900 and the first director was the Greek painter Georgios Iakovides. Today the collection of the National Gallery consists of 17,000 pieces of painting, sculpture, engraving and other forms of art, covering a period from the post-Byzantine times till the present days. The National Gallery is housed in two buildings: the central building opposite Athens Hilton Hotel houses the collection of paintings, while another building in the neighbourhood of Goudi houses the sculptures. Since October 2010, the Municipal Gallery of Athens is housed in a Neoclassical building in Avdi Square, Metaxourgio. Formely it was housed in another Neoclassical building in Koumoundourou square, Pireos st, which is now used only for the conservation of the art work, not as an exhibitional room. The gallry owns about 3,000 pieces, most of them painted by 19th and 20th century Greek artists. A private space that opened in summer 2000, the Herakleidon Museum of Visual Arts is a housed in a Neoclassical building in the heart of Thission. It hosts exhibitions of artists who have played an important role in the evolution of art and also frequently organizes seminars and workshops. The Art Collection of the National Bank of Greece was formed in 1841, the year when the bank itself was established. It owns about 1,300 original works of leading 19th and 20th century artists. Established in 1994, the Cartoon Museum is located between in a walking distance from the metro stations of Metaxourgio and Omonoia. It housed a large collection of political cartoons, advertising material and newspaper comics. Inaugurated in 2000, the Frissiras Museum is the only museum of modern European art in Greece. 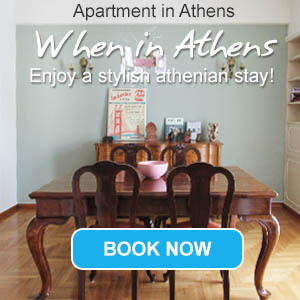 It is housed in two Neoclassical buildings in Plaka. The first building houses a permanent collection with 3,000 pieces of art and the second building hosts periodical exhibitions. The home and studio of Greek artist Spyros Vassiliou (1902-1985) is now open to the public as a museum. The atelier displays a large number of his personal work as a painter and stage-designer in a wonderful setting just under the Acropolis. Established in 2004, the Museum of Alex Mylona was donated three years later to the Macedonian Museum of Contemporary Art, which is based in Thessaloniki. It exhibits works from the 50-year career of the sculptor Alex Mylona, including her beautiful works on marble, copper, iron and bronze. Established in 1957, the Municipal Gallery of Piraeus has changed many buildings since then. At first, it was part of the Public Library and was housed in the Municipal Theatre of Piraeus. In 1985, it became an independent department and today it is housed in the building of the old post office of Piraeus. It owns a large collection of artists, among whom Lytras, Axelos, Volanakis and Christofis. G. Gounaro (Giorgos Gounaropoulos), a renowned Greek artist, lived from 1890 to 1977. With international exhibitions and a specific personal technique, he was among the few artists who formed modern Greek art. His atelie in the region of Ano Ilissia/ Zografou Athens has been turned into a museum that hosts a large part of his personal work. The Museum of Greek Children Art was established in 1994 and its aim is to promote art expession in young age. For this reason, it regularly organizes seminars and workshops for children, teachers and parents. Its exhibitions change frequently and include mostly works of children. The Tactual Museum is one of the five museums of this kind in the world. It is a museum especially made for blind people. People can actually touch the exhibits, which are copies of famous works of art. Vorres Museum is located in Peania, on the north eastern side of Athens and pretty far from the city centre. Its large collection presents 2,000 years of Greek history. The museum consists of two buildings and its gardens cover 12,000 sq.m.